Welcome to our general Forum page. Please feel free to post a comment on any issue or topic area. If you upload a picture, it will be available for you to insert here with your post. IF YOU WANT HELP WITH IDENTIFICATION, PLEASE PROVIDE A FULL POSTCODE OR GRID REFERENCE AND DATE of the record in your post so that it can be added to the recording scheme. 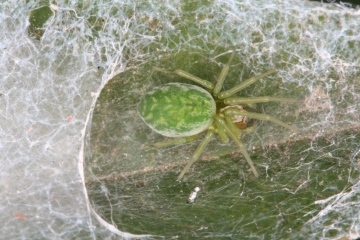 You can send a message or ask a question about British spider identification here. If your query is about spiders from other parts of the World, please find another forum. We are unable to help. You will need to register and be logged-on to post to the forum. Find out more and Help adding forum posts. You will find some helper toolbar buttons in the add post and post editor, as well as your most recently uploaded pictures as toolbar buttons. Click on the toolbar picture to add it to your post. On 22/09/2010 I found a single Nuctenea umbratica in the head of a Common Reed. It was in its usual hidden-away posture but not under bark or associated with a fencepost etc as usually described (although the reed was alongside a small wooden jetty). The site is by the River Itchen at Highbridge Farm (VC11, SU4620). Please use this forum to add posts with observations or questions about spiders or other arachnids. You can format text, lists, include links to other pages, links to other websites and insert your own uploaded pictures by using the recently uploaded picture icons or using page markup e.g.